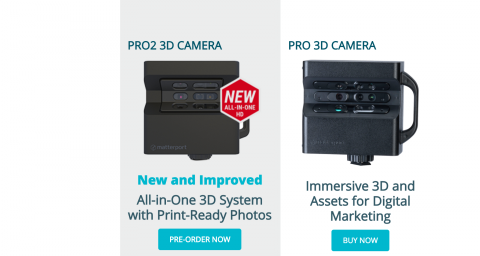 Even though Matterport announced a new Camera today (31 May 2017) - the Matterport Pro 3D Camera (MC250) @ a pre-order price of $3,995, it continues to sell the original Pro 3D Camera (MC200) at $3,395 - $600 less. In light of the new Camera, anyone considering buying the original, lower priced Camera? I would bet a small wager - that the old camera will only be available until they blow through their inventory. I see no 'product marketing' reason to maintain both in the lineup beyond economics. As a new customer, it's unlikely you'd invest such a sum into the opportunity and not buy the 'best you can' when buying such an asset, especially given the capital nature of the purchase for the business. Depending how many they have on-hand, i wouldn't be surprised if deals were done to clear these out fast. I'd also bet they have about 3 months burn rate of inventory, and if clever, they will swap to the new model with minimal overlap, hence the pre-order process. The price difference is not substantial enough. This type of asset should be amortized over 12 months or 18 months if you feel risky. 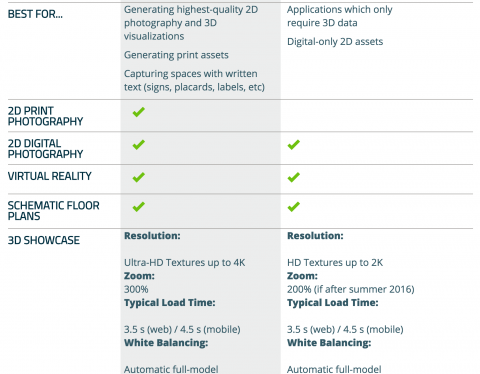 Matterport should crush the obsolete stock. That is what we used to do. Yes. 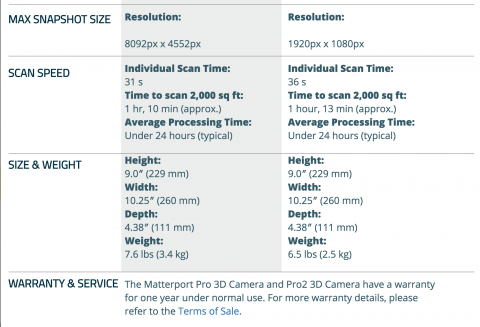 I imagine once they are done selling the old camera - Matterport Pro 3D Camera – they are done with that line. Maybe it is just me - always want the latest and greatest - but if I was buying a new Matterport Camera today, I would pay $600 more and get the new one (especially for the GPS as it relates to Google Street View) and the better images. I could image that all the sales Matterport ran to blow out the old inventory took longer than expected. What about the buyback units? Think they are upgrading them or selling them as refurbished units? I am torn. I have the buyback option, but I haven't quite reached the ROI needed for the gap between the trade in and the cost of the new camera. But I feel like I might be missing out on a competitive differentiator if I don't. Thoughts? @Wanderfish360 If you can afford it, do it. The quality of the Pro2 is a joy. Also, consider that you may not want to miss out on the first production run!